What is the difference between Chalk Paint™ and Wall Paint? Both paints are water based and offer similar coverage per litre. Chalk Paint™ is a decorative paint that will stick to most surfaces, can be thickened or thinned, used as a wash or even as a dye. It needs to be sealed with Clear Soft Wax or Lacquer. Wall Paint compliments Chalk Paint™ by offering durability and scrubability perfect for walls and ceilings in high use areas. All with no need to seal it with Clear Soft Wax or Lacquer. Think of it as a conventional household paint that is of exceptional quality. 1 Litre will cover 14.5m². A 2.5 litre tin will cover 36m². Coverage varies depending on surface and application. At normal room temperature drying time is around 40 minutes. Why are there only 10 colours? Annie has carefully chosen 10 colours from the Chalk Paint™ palette that work well on walls, and compliment painted furniture in the home. How do you wash brushes/rollers? Wash brushes and rollers out in warm soapy water as soon as possible after use. Can Wall Paint be used outdoors? Wall paint can be outside; however it doesn’t offer protection when exposed to the elements. You can use a water based exterior varnish or sealant to the protect the finish if you wish. 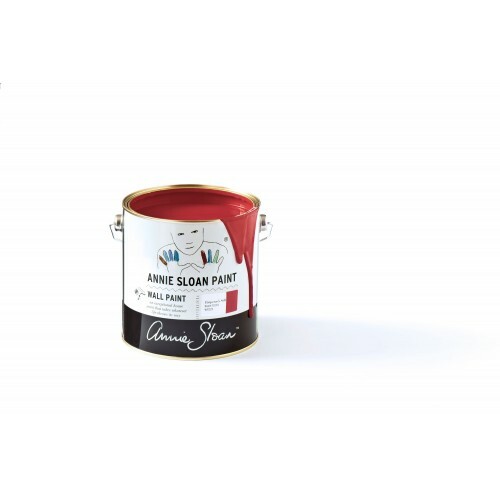 Can Wall Paint be used on previously varnished or gloss painted surfaces, eg skirting boards and window sills? Yes! However, bear in mind that it does not often have the same adhesion on glossier surfaces as Chalk Paint™. Can Wall Paint be used on floors? Wall Paint could be used on floors; however we are currently testing this further to see whether the application of Lacquer is necessary. Bear in mind that it does not have the same adhesion on glossy or varnished surfaces as Chalk Paint™. Can it be used on furniture or kitchen cupboards? Wall Paint has an extremely durable finish and could be used on furniture; however it does not offer the same adhesion as Chalk Paint™. We always recommend that you use Chalk Paint™ on furniture and save the Wall Paint for what it does best – Painting walls!! Can Wall Paint colours be mixed together? Can Chalk Paint™ and Wall Paint be mixed together? 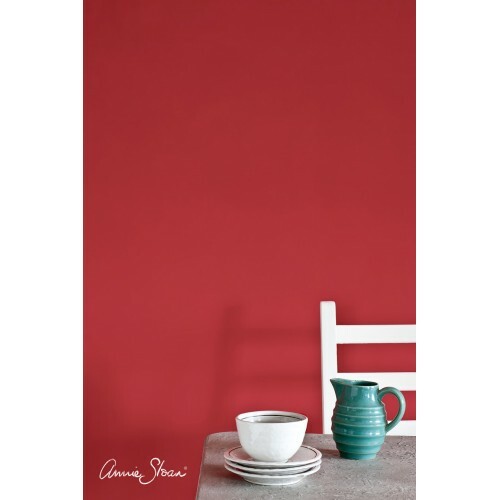 Wall Paint colours can be mixed together in the same way as Chalk Paint™. Chalk Paint™ and Wall Paint can be mixed together however this would affect the durable nature of the paint. Can Wall Paint be used as a chalk board? Yes – Wall Paint has a matt finish and can be written on with chalk. Does the paint need to be waxed? Can it be used with Lacquer? 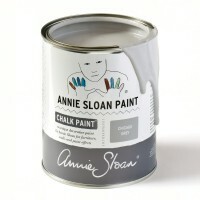 There is no need to use Annie Sloan Soft Wax with Wall Paint. Likewise, Wall Paint is not as porous as Chalk Paint™ and it is likely that lacquer would just sit on top rather than being absorbed in the paint. Is the paint non toxic? Can I use it in my children’s rooms? Wall Paint is a water based paint and contains minimal VOC’s. It contains no lead. Further to this, representative samples of the paint have been certified as “Toy Safe” according to European standards (BS EN 71.3:2013). Chicago Grey is a cool, fresh and modern grey, with a hint of blue. Suggestive of the architecture i..